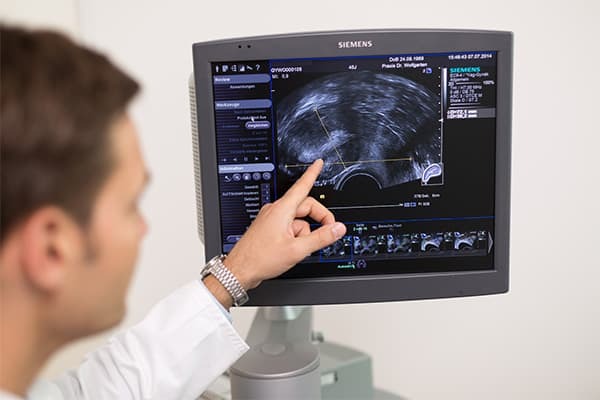 Breast ultrasound is painless examination while lying on the back without radiation exposure. It takes about 15 minutes that can only rarely detect precancerous conditions of the breast. Due to this fact, breast ultrasound is only an addition to mammography.